“Afternoon Church Chancel. N.B. 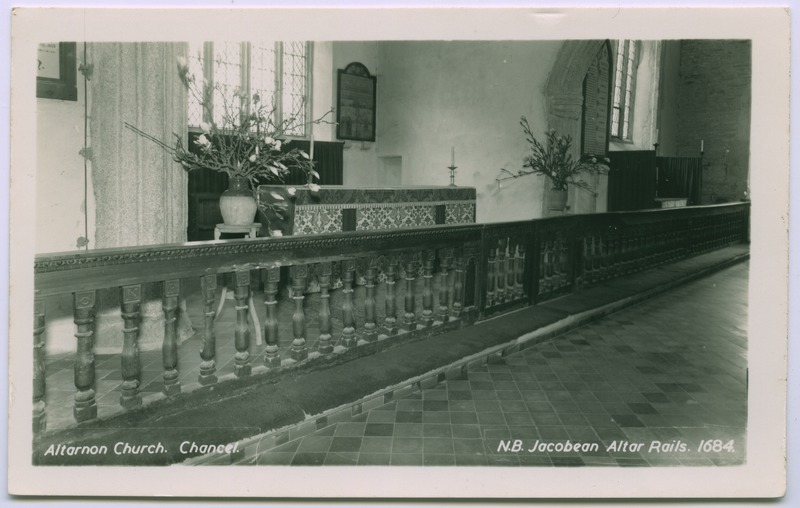 Jacobean Altar Rails, 1684,” Morrab Library Photographic Archive, accessed April 22, 2019, http://photoarchive.morrablibrary.org.uk/items/show/14644.